April, 1917, near the Arras Sector, the British and French have just started an Offensive. 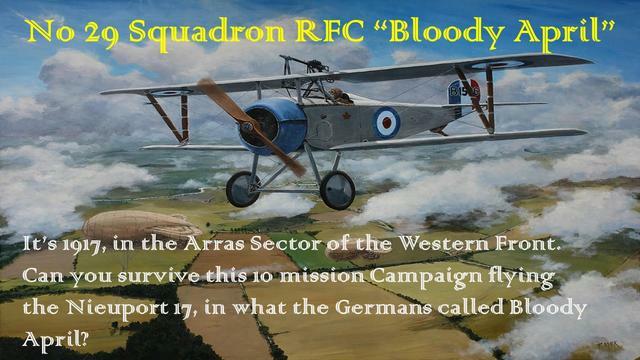 The RFC is outgunned, and overwhelmed in what the German's call "Bloody April". 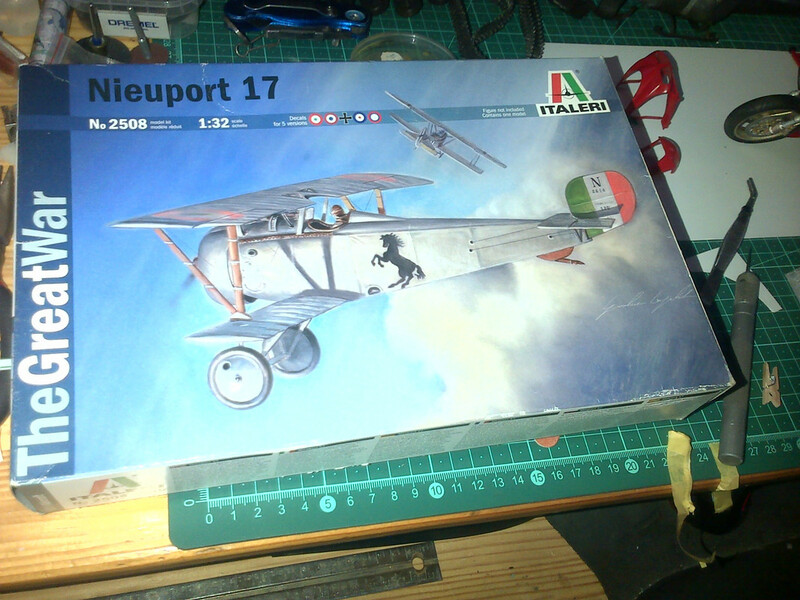 Can you survive this 10 mission Campaign flying the Nieuport 17? Nice - Biplanes! You never have enough of them, and missions and campaigns anyway. Real life has gotten in the way, but I am getting close to finishing this campaign. I just finished mission #9 and started on the final mission. Hopefully in a week or so I will be releasing the campaign. Hey Kevin, I don't mean to change subjects, but I just don't really know where else to ask - you mentioned a Guadalcanal Campaign - some time back. Any news on that? And by the way, I really do enjoy your DOF compaigns. I attempt them all. They are much more my speed (reflexes, eyesight, etc). Thanks for all your hard work, and again, sorry for changing the subject. Well I have ran into a bit of trouble, my HOTAS has stopped working so right now I have to wait until I can get a new setup. Ol Navy, yes still working on that campaign as well. Thanks Kevin. I'm not sure what HOTAS is, I can only hope something doesn't happen to mine(?). My bride of the past 55 yrs would never understand if I needed to buy something else for my PC. Thanks again. Looking forward to that campaign.